Suffolk is increasingly gaining a reputation as one of the best places in the UK to enjoy top-quality food and drink. Its history of arable farming, fishing and brewing means it has all the right ingredients for a thriving culinary scene, which is reflected in the many food and drink festivals throughout the county all the year round. Windmill Lodges, who offer high-quality hot tub holidays in the heart of Suffolk, also provide your ideal base for sampling some of the county’s culinary delights. Here is our guide to a few of the events you can enjoy this autumn. This festival takes place on Sunday, October 14, less than three miles from Windmill Lodges’ Saxtead site. 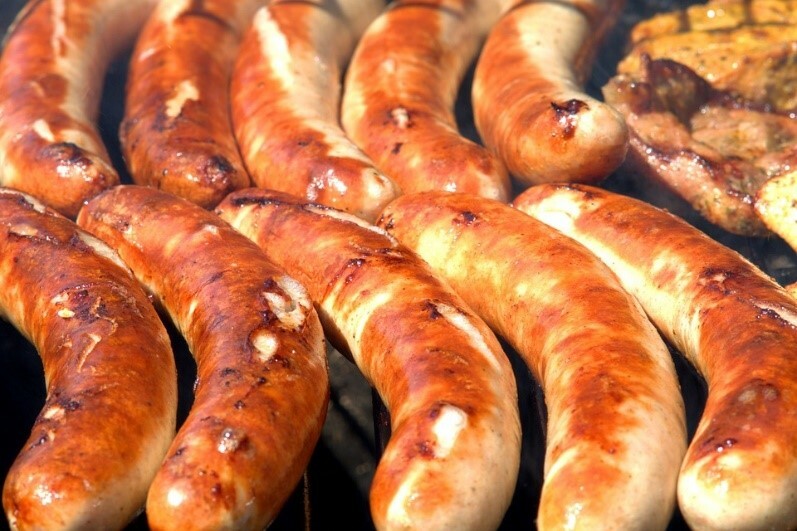 The event celebrates the great British banger, and many other varieties of sausages. Local food producers will be selling their wares throughout the town. 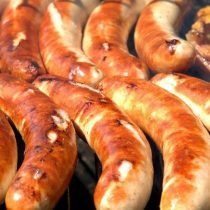 There are usually sausage workshops laid on if you want to make and cook your own. The event is not solely about sausages, either. The festival typically offers live music at several venues around the town, and other attractions include ceramic painting workshops and street theatre. The festival also has an official mascot, Teddie, who – appropriately – is a dachshund or sausage dog. He visits as many stalls and venues as he can during the day. Tickets are now on sale for this annual festival, which is held over two days every autumn at the Snape Maltings music venue, about 14 miles from Saxtead. Now in its 13th year, this autumn’s festival is taking place on the weekend of September 29-30. There will be a free shuttle bus service to the festival from Aldeburgh. More than 100 of Suffolk’s finest food and drink producers attend this festival, along with a number of leading chefs, many of whom will be familiar faces from your TV screens. Prue Leith, from The Great British Bake-Off, is one of this year’s star attractions. There are lots of food-related workshops and masterclasses if you want to brush up on your culinary skills, although these will also cost you extra. There is also a fringe festival, which consists of two weeks of food-related events at venues across east Suffolk. This is named after the famous beer festival held in Munich, Germany. The Ipswich equivalent is being held at the Grand Hall in the Corn Exchange on Saturday, October 6. You can enjoy Bavarian food and music while listening to the Oompah Band. To get into the spirit of the occasion, people are encouraged to come wearing authentic Lederhosen costumes. You will also be taught how to ‘seat sway’ and dance the polka. At Windmill Lodges you can enjoy hot tub holidays in Suffolk. Each of our cabins has its own private tub, which is the ideal way to relax after a day spent exploring the county. All our authentic log cabins come with a fully-equipped kitchen, so if you have bought something tempting at one of the food festivals, you will be able to cook it on site. Our lodges also have coal-effect fires, leather sofas and en suite bathrooms, and have been awarded either four or five stars by Visit England. For more information about the current availability of our Suffolk lodge holidays, follow this link.